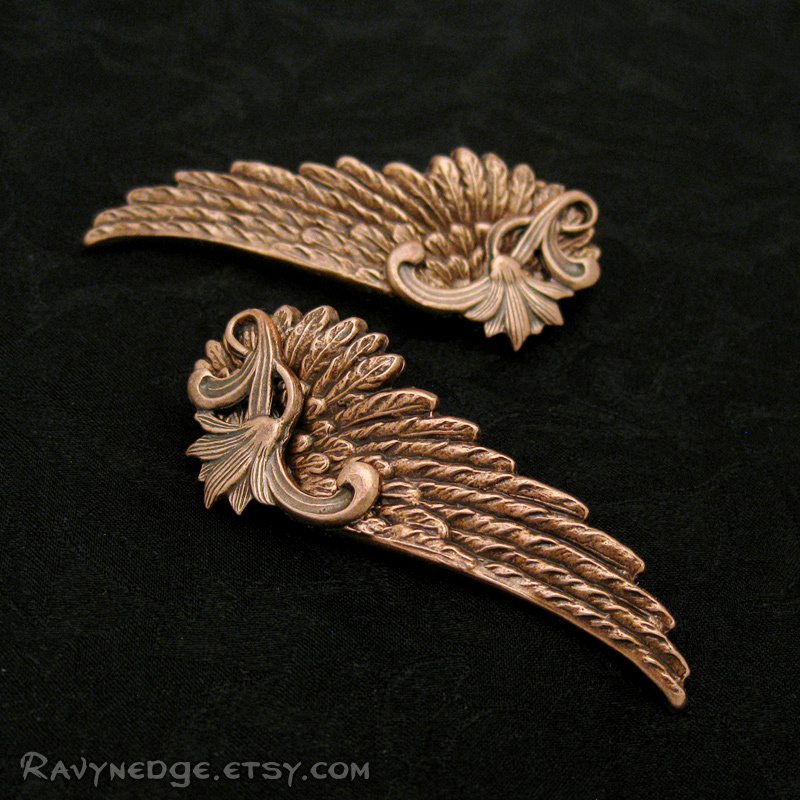 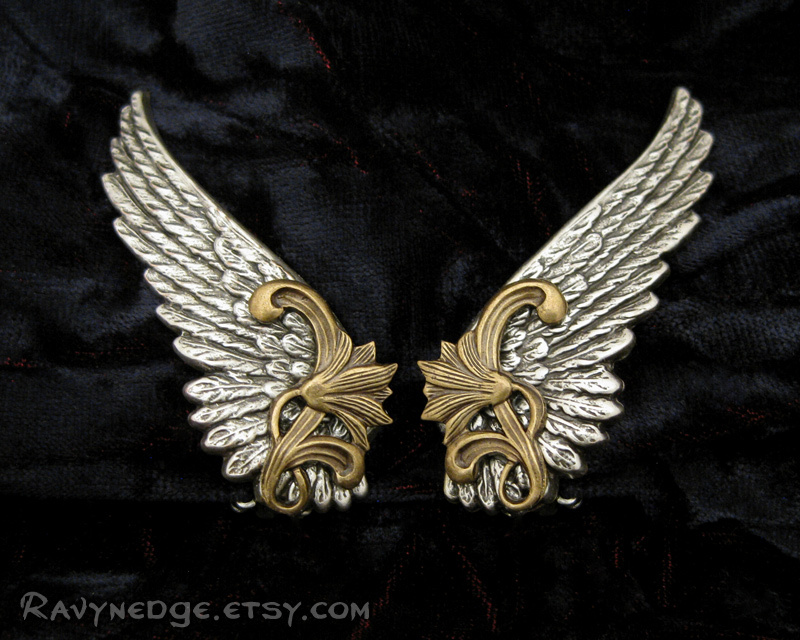 Rhapsody Earrings - Whisperling Series Angel Wings Clip Earrings by RavynEdge. 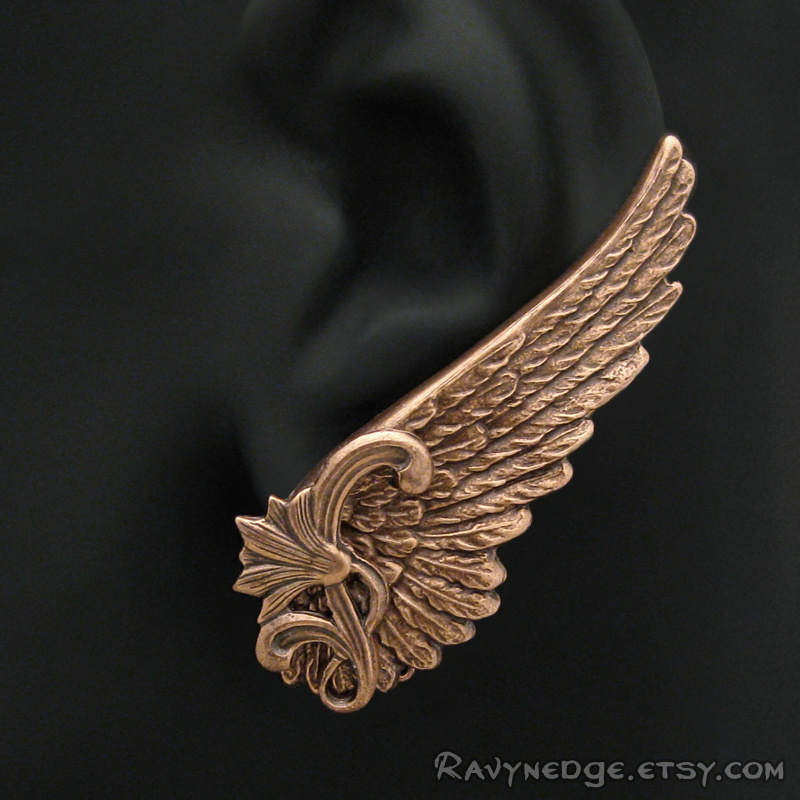 If you often find your head in the clouds, then these stunning angel wing earrings adorned with beautiful lotus blossoms are the perfect accessory to help you fly! 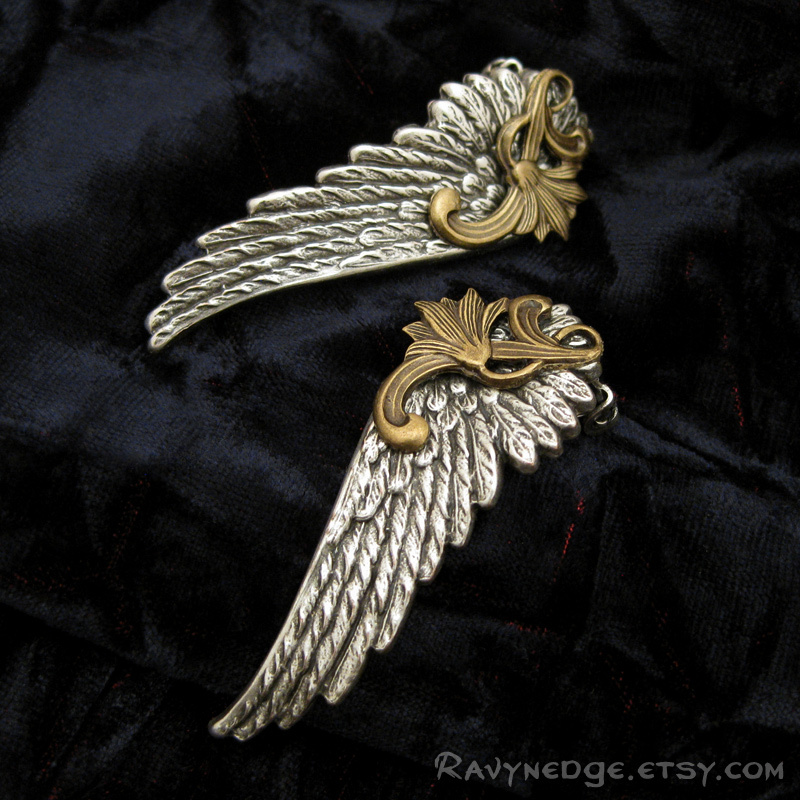 All the metal is brass, silver plated brass, or copper plated brass, oxidized to bring out the amazing details. 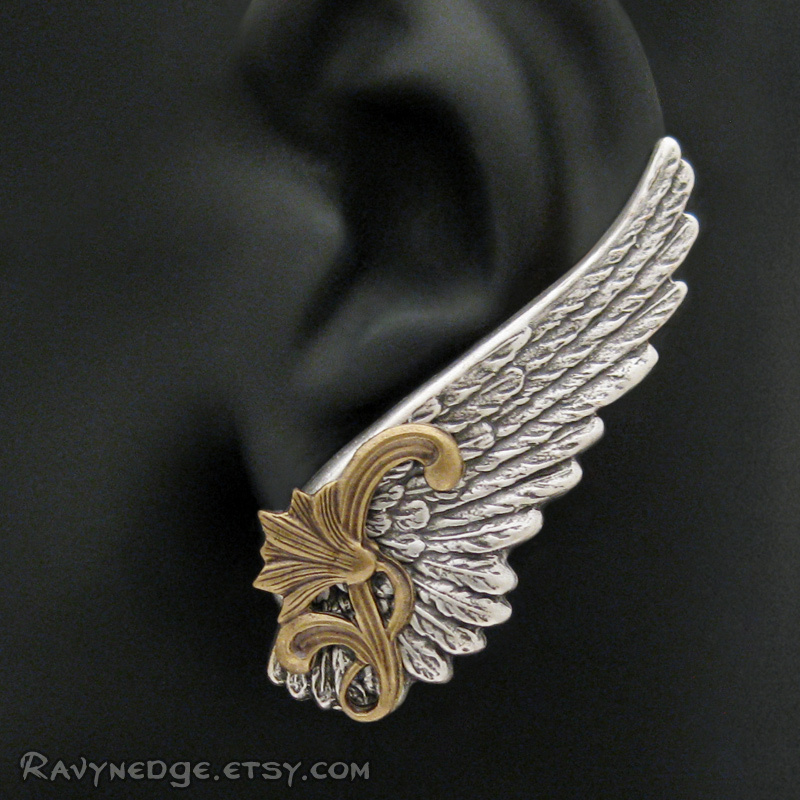 Nickel free and lead free.